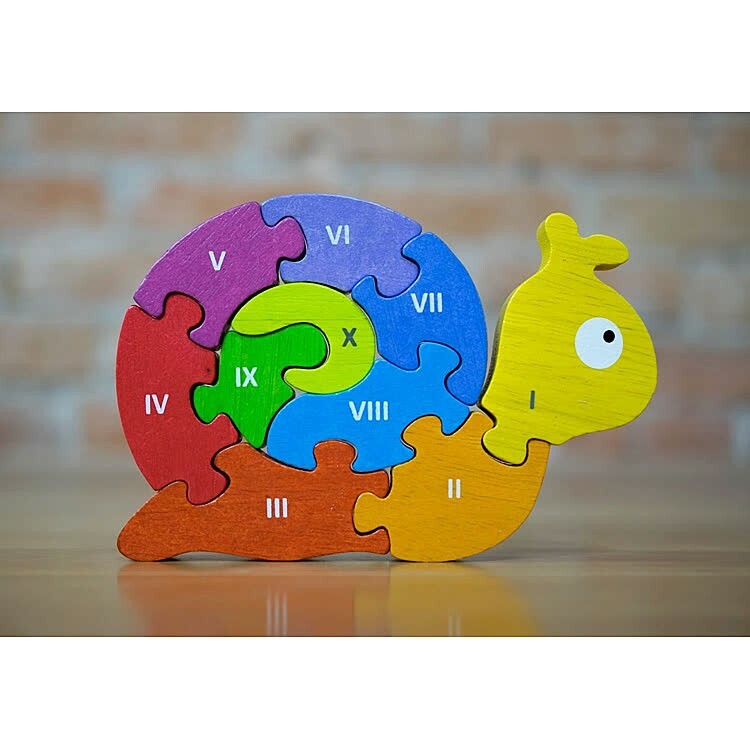 This unique rubberwood snail shaped puzzle from Begin Again teaches preschool kids not only colors and numbers, but Roman numerals, too! 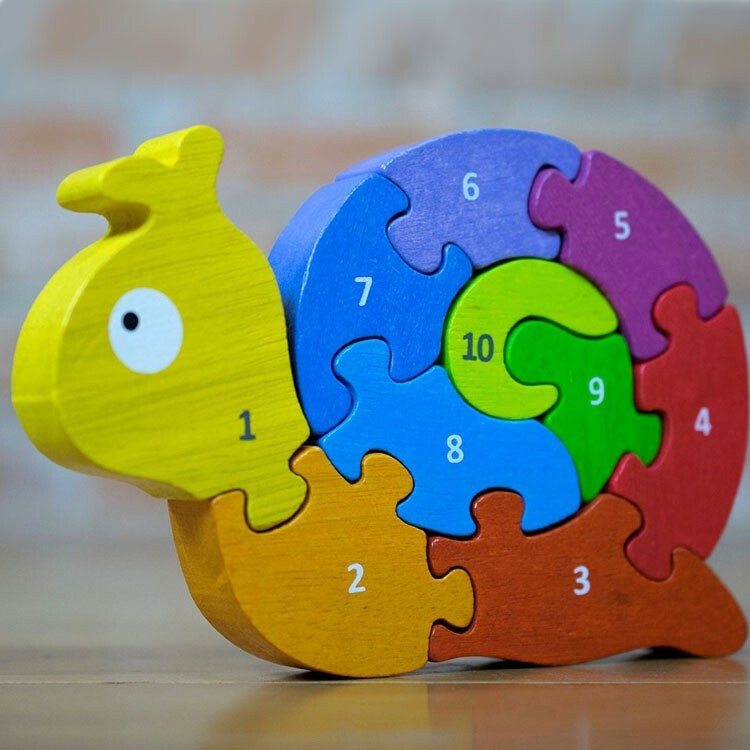 Learn numbers the snail way! 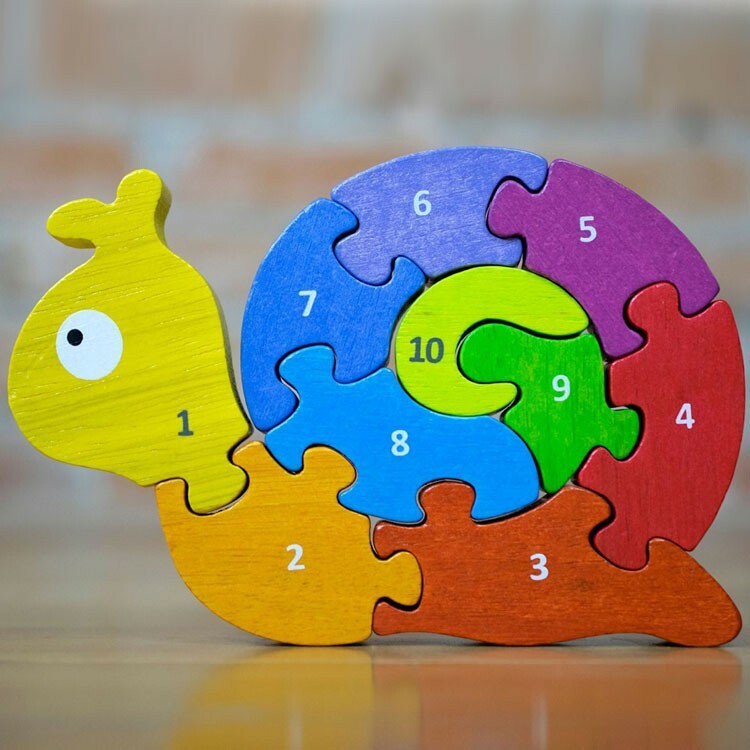 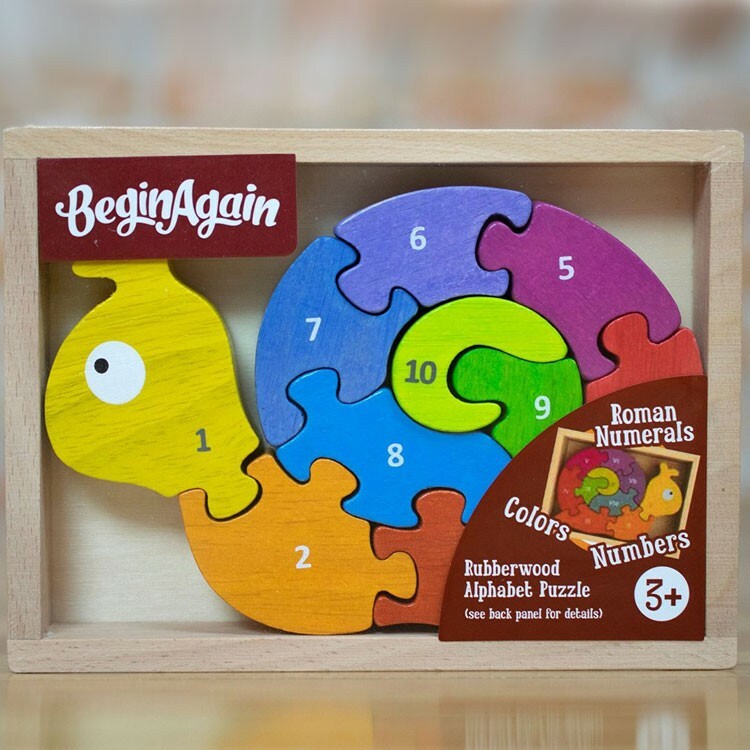 Number Snail Rubberwood Learn & Play Puzzle by Begin Again, the award winning eco-friendly toy company, features an adorable snail shaped puzzle that consists of 10 wooden jigsaw pieces. 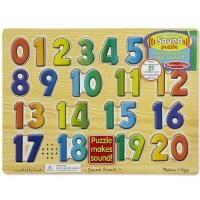 Each puzzle piece has its own color, unique curved shape, number on one side, and Roman numerals on another one. 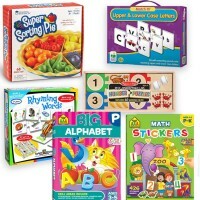 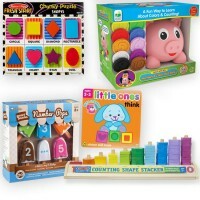 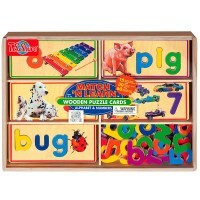 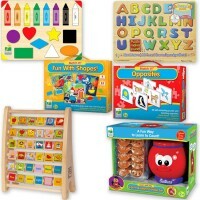 This green number puzzle from Educational Toys Planet comes packed in a sturdy display storage case. 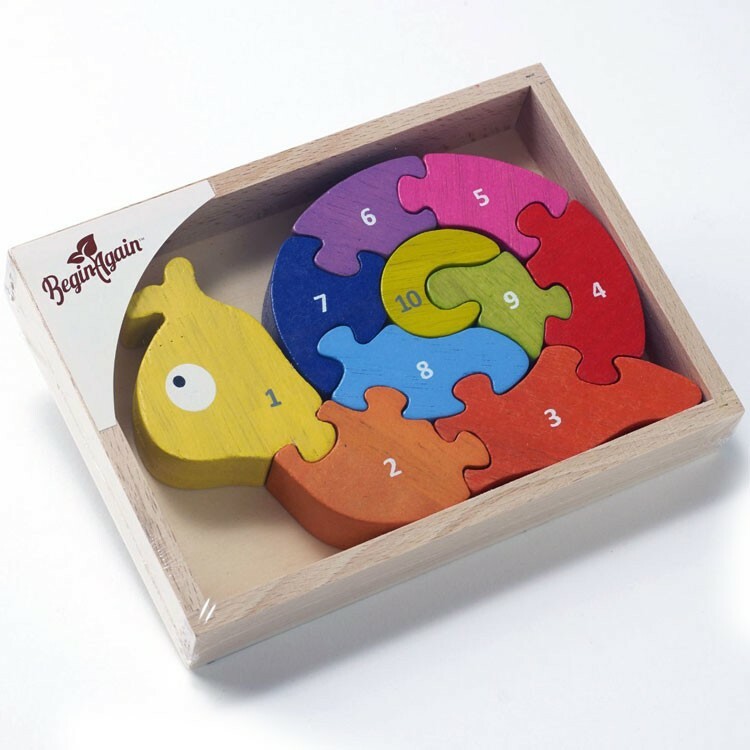 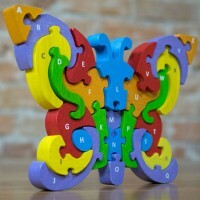 Each number puzzle piece is hand-crafted from rubberwood. 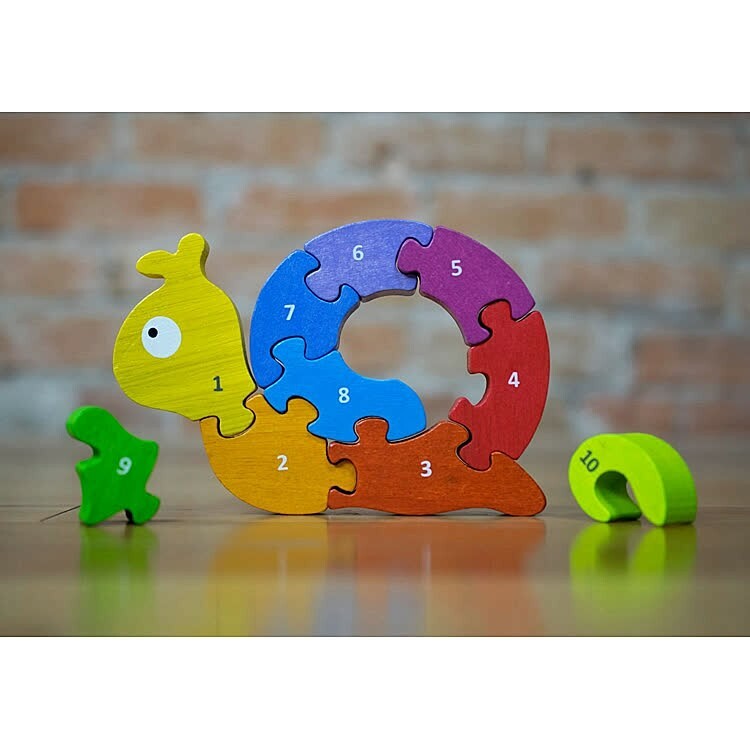 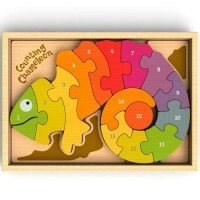 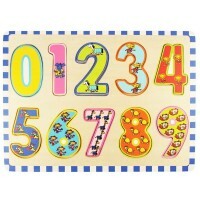 The snail puzzle colorful design helps kids remember the numbers better. 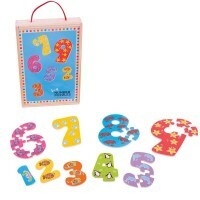 You can take this math learning kit everywhere you go - it will fill little hands and help your children learn counting and numbers faster. 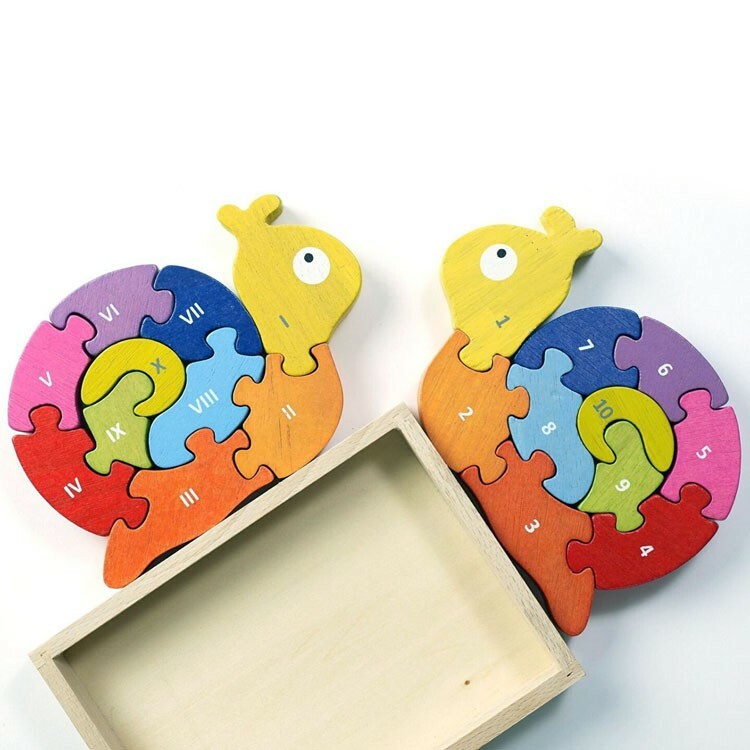 The Number Snail Rubberwood Learn & Play Puzzle enhances problem solving, memory skills and refines motor skills for preschool learners. 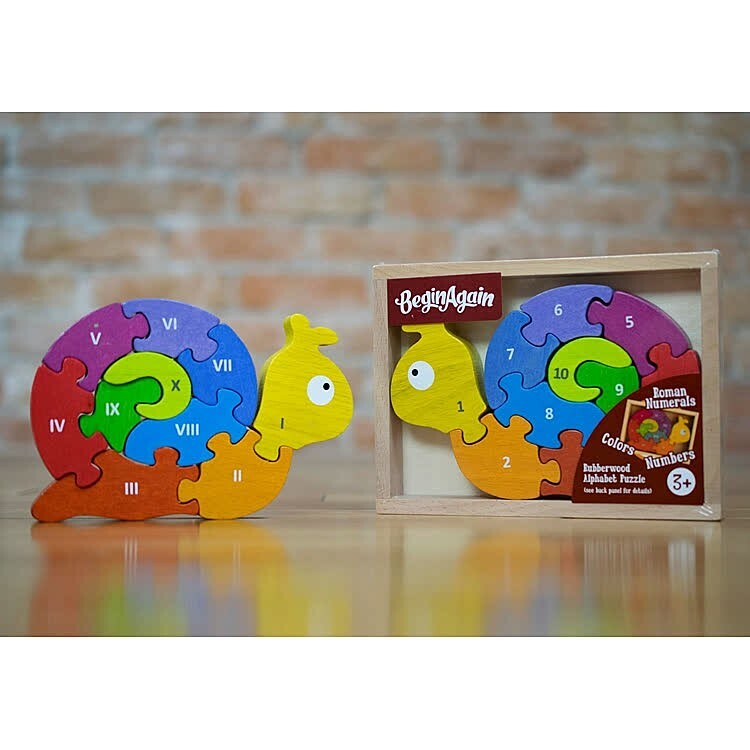 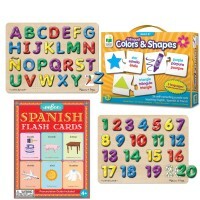 Dimensions of package 1" x 6" x 5"
Write your own review of Number Snail Rubberwood Learn & Play Puzzle.